Meet Sabi+Abi, the jar that's made for spooning. Calling all my fellow snackers! It’s here. 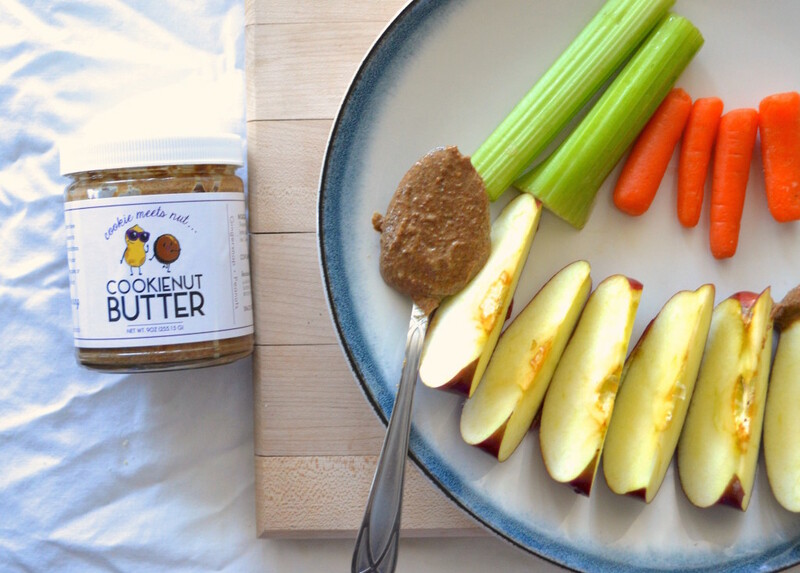 The scrumptious treat that you didn’t know you needed: Sabi+Abi Cookie Nut Butter. Do you like cookie butter? Do you like peanut butter? Then this is absolutely for you. The girls sent me their first flavor: Gingersnap and Peanut. 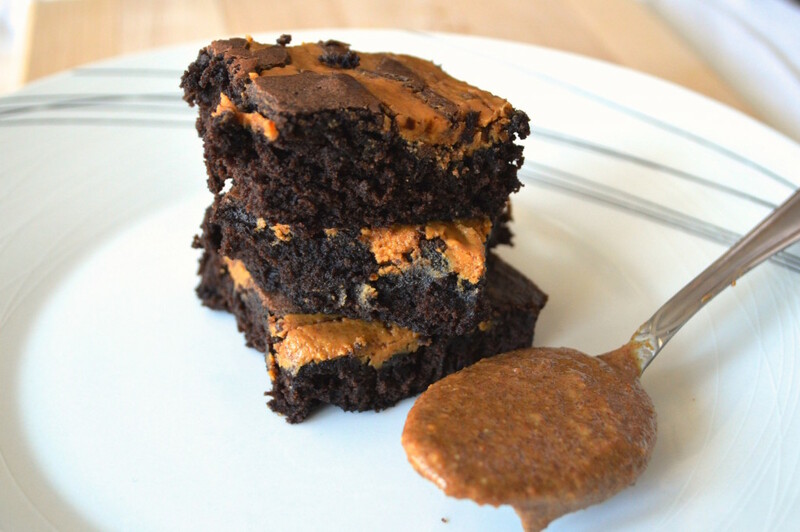 It’s got the scrumptious texture of cookie butter, but the peanut butter adds depth of flavor with its nutty richness. I told myself I was only going to have a small taste when it first arrived on my doorstep, that I wasn’t going to ruin my dinner that night, but (surprise surprise) I ended up eating two heaping spoonfuls, and it was honestly hard to stop at that. It’s heavenly. The recipe finds that perfect balance of sweet and savory, which can be attributed to a few of its killer secret ingredients—honey roasted peanuts, white chocolate and vanilla—in addition to the gingersnap cookies. The creators (you guessed it: Sabi and Abi) of this delicious concoction remind us to “Snack passioNUTly.” Don’t mind if I do. Here are a few ways that you can enjoy it. Any morning can be a special morning with Sabi + Abi. 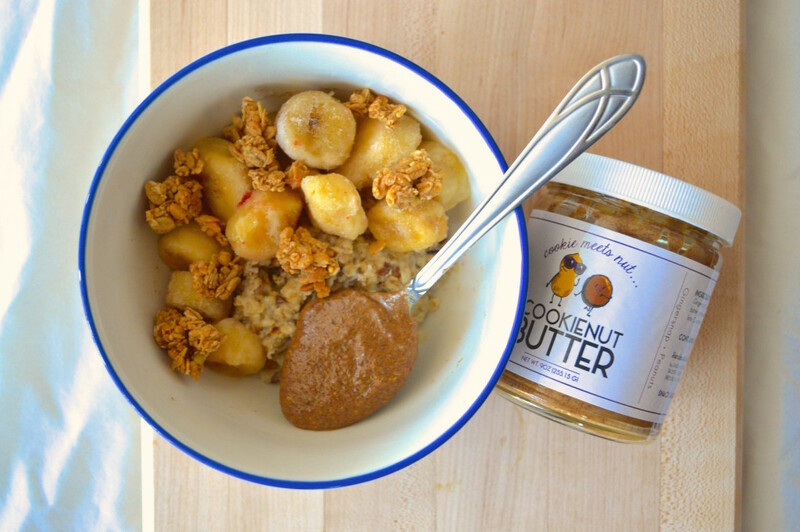 Stir some into your breakfast oatmeal (I like mine with some banana and granola too)! With apples or carrots (or even celery, if you’re into that)! Treat yourself—you’re eating fruits and vegetables, so this is totally healthy and guilt-free. Totally. SPLURGE. Add them to virtually any baked good: mix it right into your cookie dough, make it into a frosting for your cake, marble your brownies (as shown above)—the possibilities are endless! There’s never shame in eating a spoonful (or two) of this. Want a sweet little pick-me-up? Sabi+Abi is sure to hit the spot. Above, they got fancy with it and topped it with popcorn. Trust me, each morsel of this stuff is worth its weight in gold. Order your jar online now! CLICK ME, YOU KNOW YOU WANT TO.